The Almagor terror victims organization on Sunday contacted ministers on the Security Cabinet and Attorney General Avichai Mandelblit, demanding that they not block a new death penalty bill for terrorist murderers. The bill is being requested by incoming Defense Minister Avigdor Liberman as a condition for his Yisrael Beytenu party to join the coalition. While Liberman reportedly may fold on the demand for a new law, it seems that new instructions will be given to facilitate the death penalty for terrorists. Almagor Director Lt. Col. (ret.) Meir Indor spoke to Arutz Sheva on Sunday about the new bill, and former Attorney General Yehuda Weinstein's sharp opposition to the move. "Weinstein claims that the law opposes the Basic Law: Human Dignity and Liberty - and what about the dignity of the Jew who was murdered?," posed Indor. "Soon Weinstein will say that the death penalty bill for terrorists harms the freedom of employment of the terrorist," he added sarcastically. Israel has a death penalty on the law books, but it was only implemented once in 1962 against Nazi leader Adolf Eichmann. Yisrael Beytenu attempted to pass a terrorist death penalty bill in July 2015, but the Knesset overwhelmingly voted against it 94-6, with only Liberman's party voting for it. According to the new Yisrael Beytenu coalition agreement, the IDF military court - which is technically able to level the death penalty in unanimous decisions, but maintains an unofficial moratorium on it - will be issued new instructions, by which a simple majority of two judges can hand down a death sentence to terrorists convicted of murder. 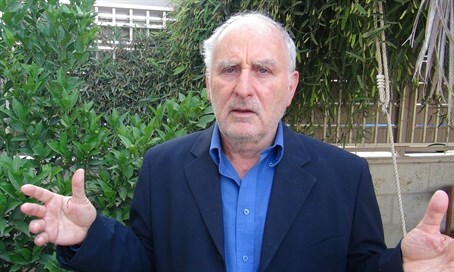 "Revenge is the basis of justice in the world"
The Almagor director explained to Arutz Sheva that "only a minority of the bereaved families think that there is no point in the death penalty bill for terrorists. I see in the bill that it is worthy and moral. It is unthinkable that murdered Jews are under the graves, and the murderers walk about free and in the end are released in deals." His statement refers to the numerous prisoner swap deals, such as the 2011 Gilad Shalit deal that saw 1,027 terrorists go free. The last coalition government released a full 78 terrorists merely as a "gesture" to keep US-led peace talks going with the Palestinian Authority. According to Indor the law will prevent terrorist release deals, and will likewise prevent a waste of the government's budget on jailing the terrorist murderers - and of course it will prevent terrorist attacks as a deterrent step. "If the law will save a single Jew then it's already worth doing," he said. Indor emphasized that he opposes those calling to implement the death penalty on Jewish "terrorists" as well. "There is an enormous quantity of murderers and acts of terror from the Arab side. There is no equality between the amount of terror committed against the Jewish nation and the minuscule amount of revenge attacks." He called to first of all apply the policy against terrorists who murdered children, recommending that they be the first to be executed. "Let them start with the murderers of (the) Fogel (family) and Henkin (couple)," he said. "I make a comparison point with the Nazis who murdered children in front of their parents. An act of murdering innocents, murdering children as they sleep - they need to be the first in line." "It is unthinkable that the blood of a Jewish child will remain unavenged. Revenge is a positive thing and the basis of justice in the world. The government needs to avenge and be the delegate of the public and the bereaved families," emphasized Indor.